For more than 400 years, optical glass has provided mankind with a window into both the hidden microcosm and vast outer cosmos of the known universe, transforming philosophy, science, and engineering through its visage and, thus, shaping modern civilization. Its high transmittance, homogeneity, and precisely defined light refraction properties are the preconditions for highly resolved true-color imaging, making it an intrinsic component of technology in general. 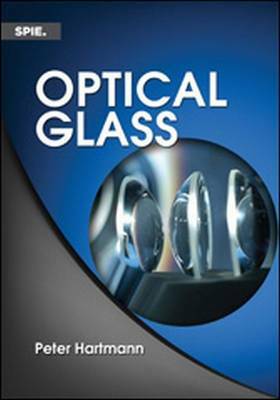 From consumer products, such as cameras and binoculars, to microscopes and telescopes - the most essential tools of research in many fields - the role of optical glass is integral to the very foundations of modern science and industry. In contrast to its fundamental importance, there is often a lack of knowledge regarding the properties of optical glass by engineers and designers, causing misunderstandings in purchasing and fabrication, and ultimately limiting the potential and application of this dynamic material. This book will serve as an invaluable resource of technical information, including the index of refraction and its dependence on wavelength (dispersion), optical homogeneity and transmittance (presented together with restrictions imposed by the manufacturing processes and chemical resistance), as well as mechanical, thermal, and environmental properties. Measurement methods with their achievable accuracy are given, along with a wide scope of overview diagrams illustrating properties and main uses, as well as diagrams ranking optical glass types with respect to their properties. The wide scope and lucid organization of this volume will prove to be highly valuable across a wide range of design, engineering, and purchasing applications within the many fields dependent on this incredible material.